To go along with the theme of "Community Helpers" for Summer Reading, I wanted to make sure I added a new table activity for little ones. 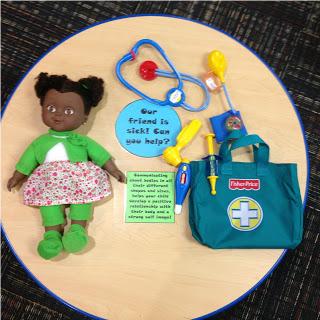 I realized having kids play doctor would be the perfect activity in our Play and Learn space. I purchased two baby dolls and a doctor's bag. If you're thinking of doing this activity, please purchase baby dolls that are different races. Just like the patrons you see every day, baby dolls come in different colors too. Out of all the positive comments I've received from this activity, parents thanking me for not just having Caucasian baby dolls have been the most abundant. 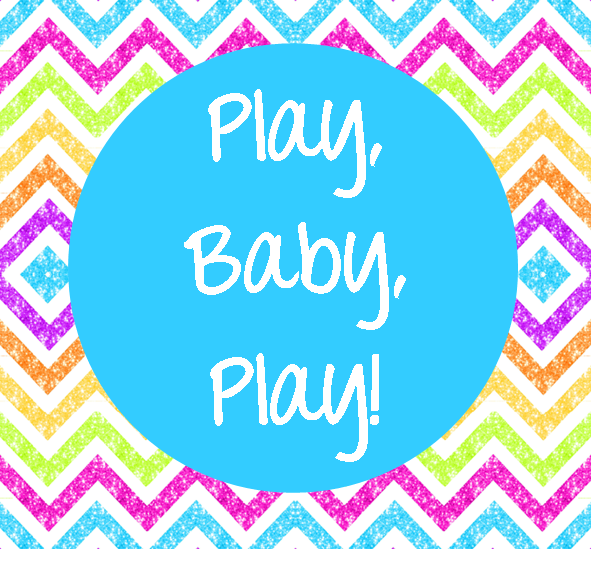 Have your baby dolls reflect your community! I added a quick prompt for caregivers and children, and simply set everything out on the table. My biggest concern was that the baby dolls would be stolen, so they're marked with our initials throughout their clothes, as well as on their skin. We've had a few kids sneak them into strollers or just walk out with them, but the caregivers always bring them back when they see the markings. Caregivers have been very appreciative that we made it easy for them to remember where they saw the baby doll. Kids have really enjoyed this new activity. Some kids are gentle and tell us that their baby has a fever and needs to rest. Another child told me their doll had been in a car accident and was attempting CPR. One child even became a surgeon to save the baby doll's life, while making her younger sister be the nurse. Sometimes though, the baby just has a boo-boo and needs a band-aid. 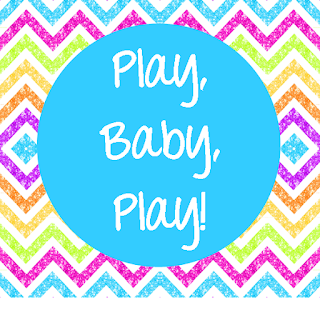 The imaginative play that happens with these two baby dolls is amazing! Overall, this was definitely a successful activity and one I would encourage all of you to do!